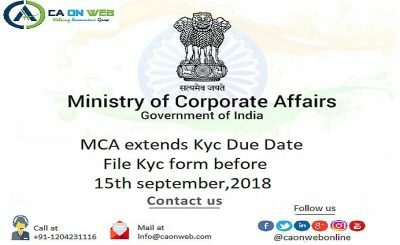 The Ministry of Corporate Affairs (MCA) has brought a new concept of Active Company Tagging Identities and Verification by the companies and introduces a new E-Form-ACTIVE. 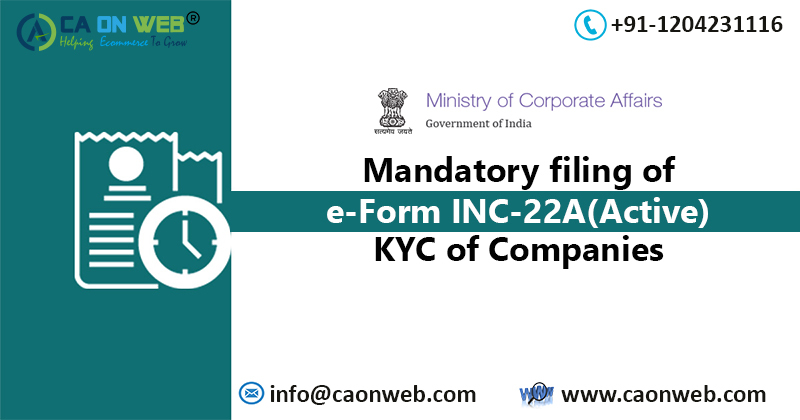 Every company which is incorporated on or before the 31st December 2017 is required to file the particulars of the company and its registered office, in Form INC-22A on or before 25.04.2019. However, any company which has not filed its due financial statements u/s 137 or due annual returns u/s 92 or both with the ROC shall be restricted from filing E-Form-ACTIVE until such company is under management dispute and the Registrar has recorded the same on the register. 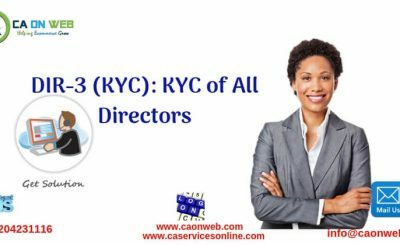 The company that has been struck off or under the process of striking off, under liquidation, amalgamated or dissolved, as recorded in the register of ROC, not required to file E-Form-ACTIVE. Photograph of the registered office address showing the Inside and Outside Building, showing at least one Director or KMP who is affixing his/her DSC to E-Form-ACTIVE. If E-Form-ACTIVE is not filed by the company on or before 25.04.2019, the company shall be marked as “ACTIVE-non-compliant” on or after 26th April 2019 and shall be liable for action under section 12(9) of the Act. Where a company files “E-form INC-22A or E-form-ACTIVE”, on or after 26th April’ 2019, the company shall be marked as “ACTIVE Compliant”, on payment of a fee of TEN THOUSAND RUPEES. 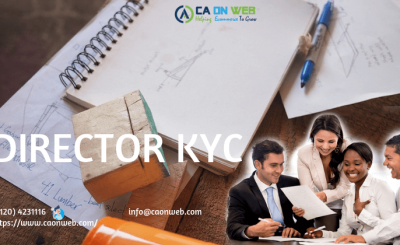 For Filing of e-Form INC-22A,you can contact professionals through CAONWEB to avoid penalty of TEN THOUSAND RUPEES.